Mangaluru, Oct 18, 2017: The Vishwa Hindu Parishat (VHP) and Bajrang Dal will conduct Gau Puja at 120 locations in Mangaluru and Puttur taluks between October 18 and 22. Jagadish Shenava, district president, VHP Dakshina Kannada, told media that the puja begins on the day of Deepavali and would culminate at Gou Vanitashraya at Phajeer. He said the pujas were being organised to rekindle the age-old tradition of revering cows and to pass on the knowledge of the same to the next generation. It is also aimed at spreading the message of importance of cows in daily life. 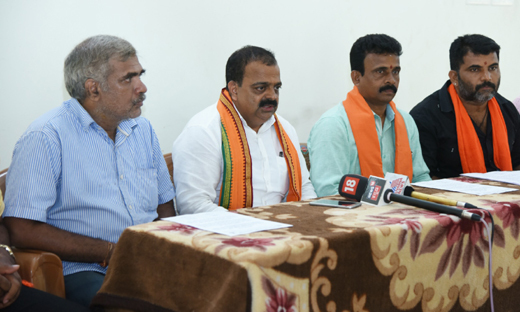 He urged the State government to take immediate action against the group of people who allegedly attacked Nandini at Bengaluru, who had informed the police about illegal transportation of cows. While the mob attacked her, the police remained mute spectators. If the police fail to take action, VHP-Bajrang Dal would hold a Statewide protest, he cautioned. 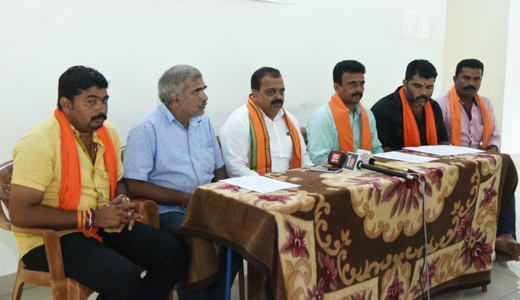 Meanwhile, VHP-Bajrang Dal has urged Mangaluru Mayor to take immediate steps to close down all illegal slaughterhouses in the city, Mr. Shenava said. Reacting to Prime Minister Narendra Modi’s reported statement that 80% of gau rakshaks were fake, Mr. Shenava said that VHP does not agree with the statement. According to him, all gau rakshaks are genuine and working for a cause.